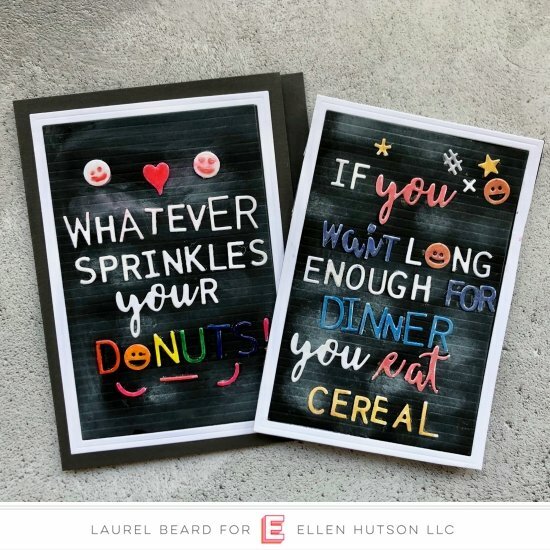 I was so thrilled when Julie designed a Letterboard line of stamps and dies! I squealed! Truth! 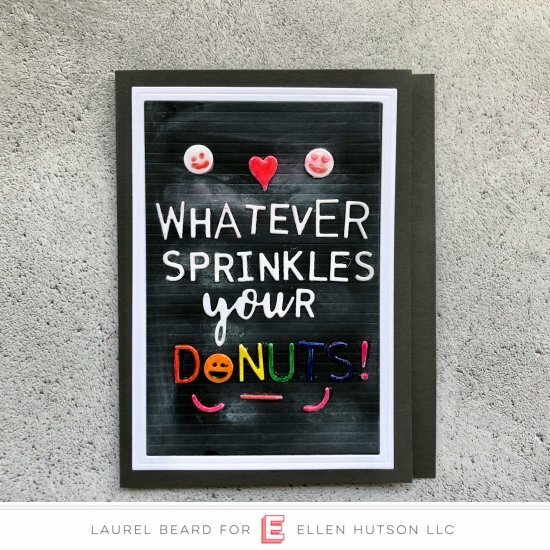 I adore letterboard style and couldn’t wait to make a couple of funny quotes using them. These can be framed and used as art or cards! Let’s look at my first one! 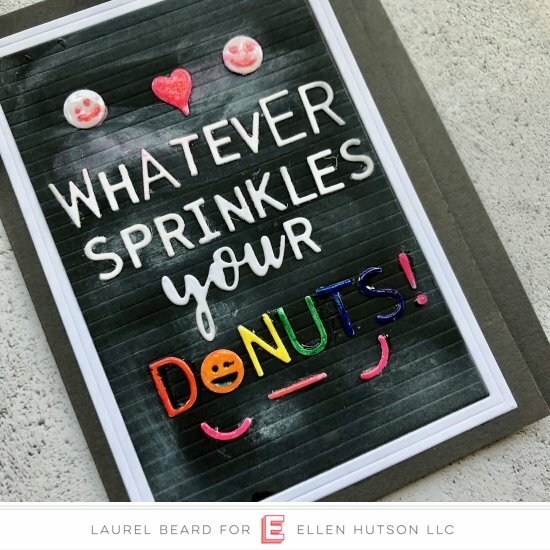 A little bit of Crystal Glaze from Tonic on the letters and a bit of white ink smudged with my finger for the chalkboard look and this card was done! My next card is all about what I like to eat for dinner! Cereal! 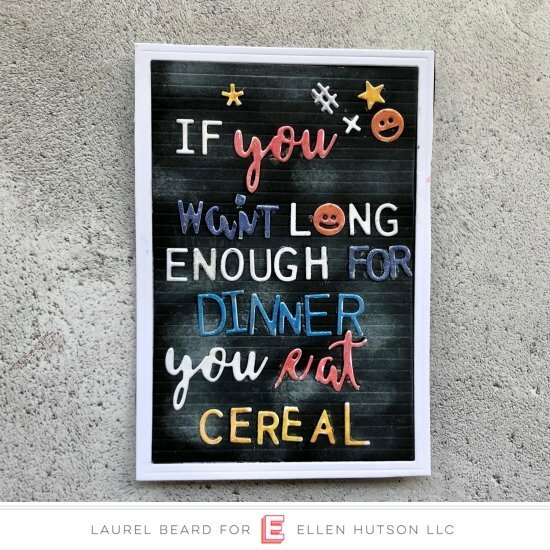 It’s easy and if you wait long enough to start dinner, cereal is all you have time for anyways! I think these could be used in so many ways Laurel , my mind is racing !